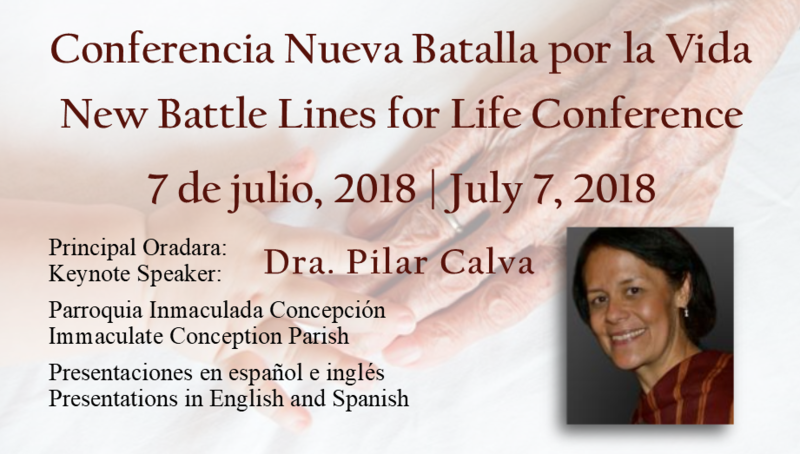 featuring Keynote Speaker Dr. Pilar Calva discussing End-of Life Challenges. Additional speakers are: Aurora Tinajero, Cesar Piña, Patricia Vasquez, and Omar Aguilar. The conference will be presented in English and Spanish. For more information, visit prolifedallas.org/conferencia. Cost is $10 and registration is required.